Dr. Andrew Filmer has diverse interests, from viola performance to musicology to public speaking. He is an advisor for the Australian and New Zealand Viola Society, and was the first non-American to be appointed to the position of Editor of the Journal of the American Viola Society (JAVS) in the publication’s 30-year history. He holds a PhD in musicology from the University of Otago, and a master’s degree in viola performance from Indiana University South Bend. Andrew is a lecturer at Sunway University, previously taught at Universiti Putra Malaysia and has facilitated guest lectures at the Yong Siew Toh Conservatory in Singapore and Victoria University of Wellington in New Zealand. In his academic pursuits, Andrew strives to combine research with performance. His articles on string repertoire and technique have been published in JAVS in the US, Arco in the UK, Stringendo, String Praxis, the Australia and New Zealand Viola Society Journal, and Crescendo in Australasia, in addition to editions by Comus and AVS Publications. Andrew has presented research at the Royal Northern College of Music, the Elder Conservatorium, International Viola Congresses in Germany, Poland, and New Zealand, and International Viola Conferences in Auckland and Sydney. Andrew is a member of the Sutera Ensemble, which has performed across Malaysia and recently went on tour to Cambodia. 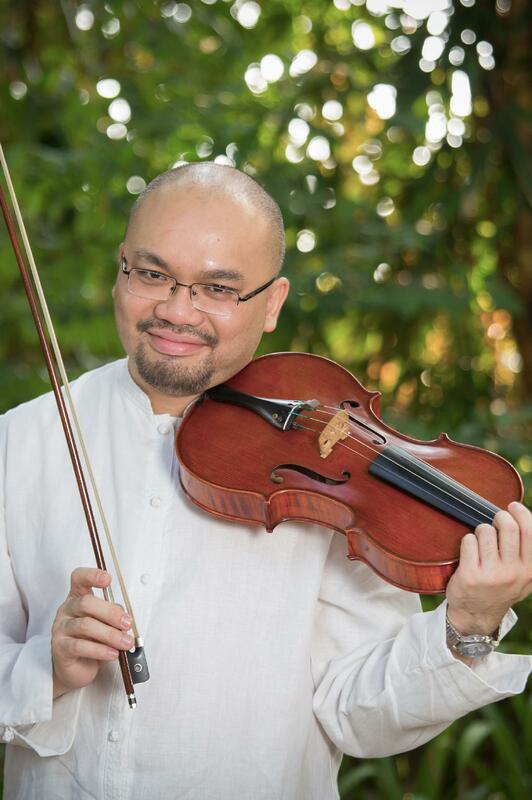 He has also been a guest leader and guest performer with Ensemble Virama, narrator for the Selangor Symphony and the Song Weavers, Co-Curator for Educational Content for the JB Classical Music Festival, and a facilitator for the Philharmonic Society of Myanmar’s Festival and Competition. In addition to being a recipient of performance prizes from the Lilburn Trust and leadership awards from Indiana University, he is a prize-winning public speaker and has been featured on Australian national radio. Outside of Western art music, he was a member of the jazz band The Troubles, whose inaugural recording was released by Rattle Records. In addition to his music qualifications, he holds an honours degree in journalism, and a certification in User Experience. With a side speciality in computer software for academic presentations, he has been a featured presenter for Piktochart’s Web Camp.